Our Dedicated HistoriCorps team. Leadership with a difference. Ned resides in Steamboat Springs, Colorado, with his wife and their three dogs. 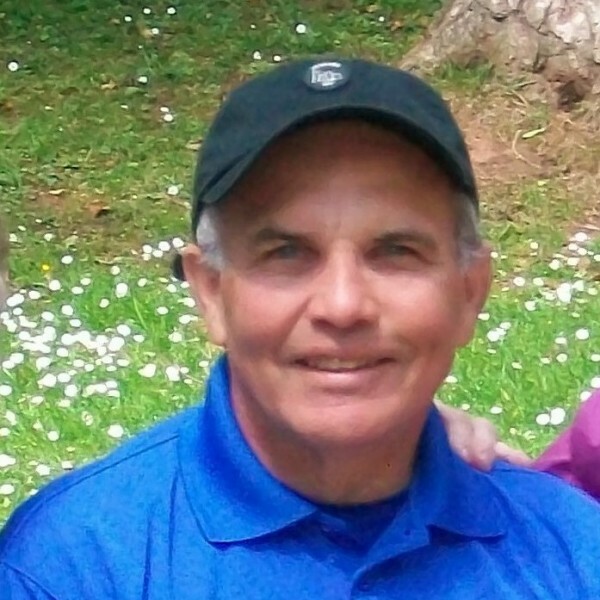 An avid reader, his hobbies include snowshoeing in the Medicine Bow-Routt National Forest, snowboarding, and squash. He currently operates a strategic consulting business for small, privately owned companies. Earlier in his career he was a banker with with Chemical Bank, Wasserstein Perella, and Dresdner Kleinwort Wasserstein. He was formerly on the board of Beacon Power, a manufacturer of high-speed carbon fiber flywheels that provide a green alternative to electric grid frequency regulation. Ned holds a BA from Williams College, and an MBA from Columbia University. Kim Mailes is a frequent volunteer on HistoriCorps projects and a member of the National Trust for Historic Preservation. He currently serves as chair of the Carver Birthplace Association and supervises restoration of the 1872 Neosho Colored School, which is listed on the National Register of Historic Places. The historic schoolhouse is the first educational institution attended by George Washington Carver during the Reconstruction Era following the Civil War. Active in civic affairs, he has served on the boards of directors of The Crowder College Foundation and his local public school district and chamber of commerce. He received a BA in English from Missouri Southern State University, and an MFA in Creative Writing from The University of Missouri-St. Louis. He owns and manages a real estate investment firm and resides in Neosho, MO. 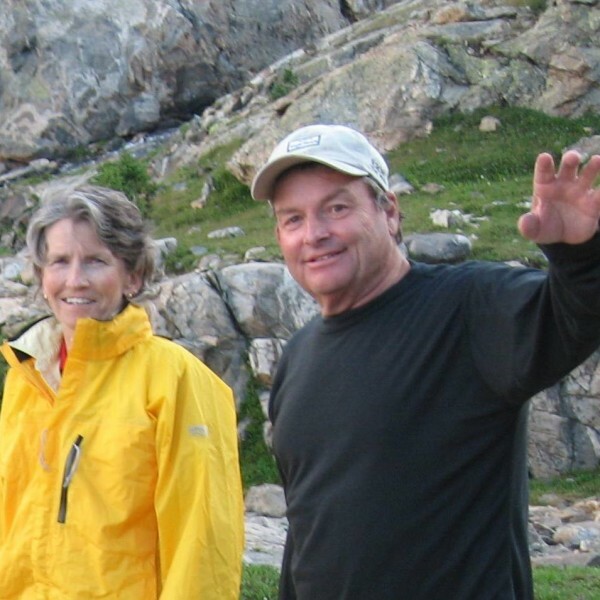 Mike Metcalf received his formal training in Anthropology at Colorado State University (BA 1971, MA 1974) and has worked as a practicing archaeologist in the Rocky Mountain region since his student days. 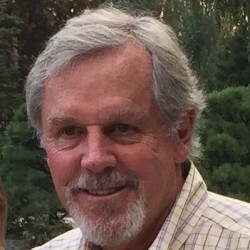 He is a co-founder of Metcalf Archaeological Consultants, Inc and along with running a successful business for more than 36 years, has made continuing contributions to our knowledge of the prehistory of the Rocky Mountains, northern and western Plains, and the northern Colorado Plateau. 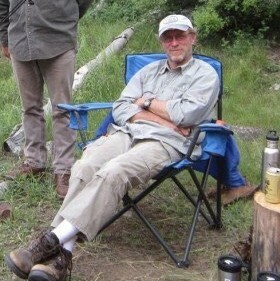 He has taught at the college level, authored a large number of contract reports and publications, and served as a board member or officer of the Colorado Council of Professional Archaeologists, Wyoming Association of Professional Archaeologists, the Plains Anthropological Society, and the Rocky Mountain Anthropological Association. 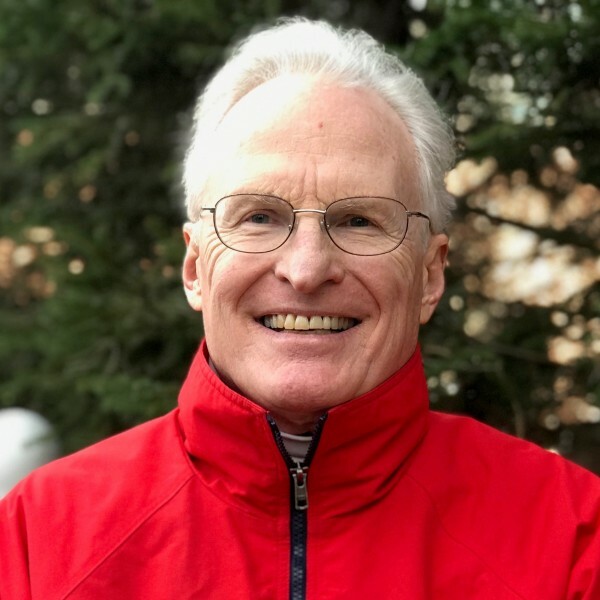 After retiring from day-to-day company management he served on the board of Colorado Preservation Inc for a 6 year period, and is currently serving the boards of HistoriCorps and PaleoCultural Research Group. He conducts occasional research and travels with his wife Sally and their dog, Zoey. Robert attended the University of Colorado School of Architecture, graduating in 1973. He joined his father and brother at Pahl and Associates, a Denver-based architecture firm. The firm name later changed to Pahl-Pahl-Pahl Architects/Planners pc. Rob’s specialty was renovating, restoring, adapting and preserving buildings. He has received 13 local, regional and national awards for historic preservation, including two Steven Hart awards, one CPI award, one Historic Denver award, one Historic Boulder award and five American Institute of Architects preservation awards. Rob and his brother assumed ownership after their father retired in 1984, renaming the firm Pahl Architecture pc. Rob retired in 2017. Bob resides in Englewood, Colorado. An avid golfer, his hobbies also include racquet ball and hiking in Grand Teton National Park. His career as a CPA included tenures at Coors Brewing Company, Samsonite and Einstein Noah Restaurant Group. He holds a BS from Miami University and a Master of Accountancy from The Ohio State University. Molly joins HistoriCorps’ Board as an enthusiastic volunteer and historic preservation lover. She is a native of Denver and spends most of her time horseback riding and playing rec sports. 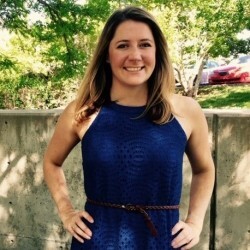 Currently, Molly is a Real Estate Strategic Planner at CenturyLink and a member of the global leadership team for the company’s Millennial employee resource group. She has volunteered extensively with organizations in Juarez, New Orleans and Harlan, KY as well as the Blackfeet Reservation in northern Montana. She holds a BA in American Studies and MBA from La Salle University in Philadelphia, PA.
Dr. Norton received her BA in anthropology from the University of South Carolina, and an MA and PhD from Syracuse University in anthropology with her dissertation “Estate by Estate: The Landscape of the 1733 St. Jan Slave Rebellion.” She has worked as an archaeologist conducting both prehistoric and historical archaeological investigations, as well as historical architectural surveys, for a variety of state and federal agencies and private environmental firms, including the South Carolina Department of Transportation and the National Park Service. 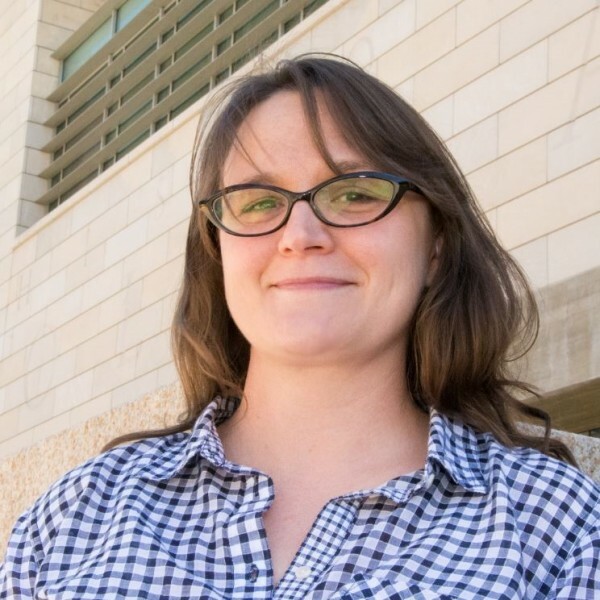 Norton currently serves as the Colorado State Archaeologist and the Deputy State Historic Preservation Officer at History Colorado where she focuses on a variety of regulatory issues including the Section 106 process. 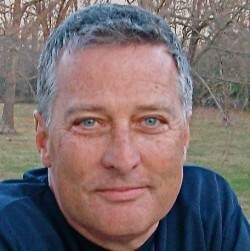 Founding Director of HistoriCorps. Retired former President and COO of Titanium Metals Corp.
HistoriCorps' field staff travel all across the country to lead crews of volunteers, students, and veterans in the hands-on preservation work that saves historic buildings and structures for public benefit. We have a lot of all-stars on our team. Their skills are as varied as the projects they work on! They range from passionate experts with over forty years of experience to students just entering the field of preservation. HistoriCorps field staff include all manner of craftspeople and some of the best outdoor chefs you could ever hope to meet. Field staff don't only enjoy the preservation work; they are passionate about teaching and guiding the crews of volunteers, students, and veterans on projects. They make sure that everyone has a hand in saving places for generations to come. Project Supervisors are the technical preservation experts on a HistoriCorps crew. They are responsible for everyone and everything related to their respective work sites. John has been in the construction industry for approximately thirty years. He is a 2006 graduate of Danville Area College Hands on Preservation Program with an emphasis on both preservation techniques as well as social policy. In his professional career John has taken a special interest in wood window restoration, as well as the replication of wooden components such as trim pieces that are no longer available. Woodworking is his true passion. In the world of "cookie-cutter" home building John found his skills to be almost redundant. Architectural preservation can be challenging and frustrating, but always immensely rewarding, and every building preserved staves off those cookie-cutter homes that had no need for his talents! Steve is an Iowa farm boy, Anthropology student, Gulf of Mexico oil field worker, New Mexico cowboy, Leadville hard rock miner and building contractor, and finally, historic preservation carpenter and Project Supervisor for Historicorps. It only took Steve 45 years to figure out what he wanted to be when he grew up. Steve has completed 8 seasons and 32 projects with Historicorps to date! Mike started a historic conservation career in the early 1980s while working with Howard County Department of Recreation and Parks in Maryland. He came from a construction trade background and after attending two Preservation Trades Network conferences he was hooked on preservation. Having previously attended two trade schools, he received a degree from Goucher College’s Professional Studies in Historic Preservation program and started working for Historic Preservation Specialists, Inc. in Smithsburg, MD. 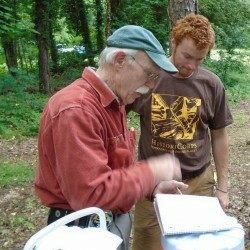 Mike has since taught historic preservation to students and others interested in learning how to care for their homes. This year with HistoriCorps, Mike is looking forward to learning the ways of the West and getting lost on trout streams with a fly rod (and bear spray). He plans to watch many sunrises and learn many new things. Ryan Prochaska came to HistoriCorps for the opportunity it would give him to work with fellow preservationists and also, in his words, "to travel and enjoy the great outdoors". His career in historic preservation has brought together three passions in his life: art, architecture and sustainability. He firmly believes that by preserving the built environment we can reduce our impact on the environment. Ryan enjoys meeting inspiring people who enjoy the outdoors and love working with their hands. Jonathan was immediately attracted to HistoriCorps due to the combination of remote wilderness sites and preserving historic structures. Having always been in awe of the structures he finds on top of a mountain or miles from any road, let alone a town, it was an easy decision to join a group whose mission is to save these amazing places. When he is not on a HistoriCorps site, you will find Jonathan down by the river or up in the mountains. He is most looking forward to continuing work on projects we began last season, stating that it's satisfying to watch them move forward year to year. At the same time Jonathan enjoys confronting those unforeseen challenges that are inevitable when you begin working with historic structures. Jed was introduced to the building trades by working for local carpenters while growing up in Washington, NH. The challenge of providing unique, high quality work in high end homes and the growing market for new construction on the NH seacoast inspired him to start JDP Carpentry. He completed high school with certifications as an EMT and Firefighter and went on to complete 2 years of medical science education. When he is not working on job sites or projects in his shop, he spends his days rock climbing, telemark skiing, and finding solace and inspiration in nature. Aaron has been repairing historic buildings for about twelve years, most recently for the National Park Service on the Channel Islands in Southern California and before that at Mount Rainier in Washington. He is particularly fascinated by the survival of buildings in remote wilderness locations and by the techniques that shaped them out of raw materials. A self-described “barn nerd,” he wrote a Master’s thesis about a barn in Oregon while learning to cut joinery on replacement timbers using traditional tools. He holds a Master of Science in Historic Preservation from the University of Oregon and a Bachelor of Science in Construction Science from Texas A&M University. He loves to explore wild places at every opportunity and is passionate about sharing his knowledge of historic preservation methods with others. Patrick Kennedy has been involved in hands-on historic building renovation since the early '70s. He began with residential and commercial buildings in Northern Kentucky and then log buildings. Relocating to central Kentucky in the early '80s he continued to work on all aspects of the renovation and restoration of historic log and wood frame buildings including window restoration. He accepted a position in 1997 with the Kentucky Heritage Council (KHC), the State Historic Preservation Office. He worked there for fifteen years as an adviser for historic building and covered bridge renovations throughout the State. During his tenure at KHC he set up a nationally recognized hands-on restoration skills program at Pine Mountain Settlement School with major assistance from Bob Yapp. 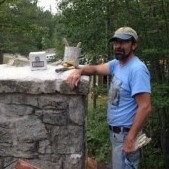 Patrick continues his work in historic preservation as a go-to source for historic building projects, contractor for special preservation projects, instructor at hands on education workshops and demonstrations, and supervisor for HistoriCorps volunteer projects. Crew Leaders assist the Project Supervisor, as well as prepare meals for project participants. Julie holds a Master’s Degree in Historic Preservation from Boston Architectural College. Never one to let the grass grow under her feet, she has also embarked upon a Certificate of Achievement in Heritage Conservation and Construction through the HistoriCorps Institute. Julie first came to HistoriCorps as a volunteer at Summerseat in Virginia in the fall off 2016. Her next experience was at Chester in 2017. 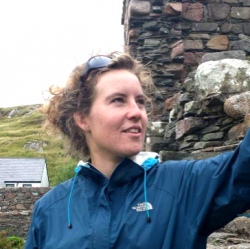 Experience gained on both of those projects, together with the HCI qualification which she plans to complete in 2018, will stand her in good stead as a professional preservationist. Asked to describe what it was like to work in the field with HistoriCorps, Julie’s reply was simple. “It’s great,” she said. “There is a lot of learning that goes on during a project, whether it’s learning by doing, or learning by dealing with different kinds of people. It’s an opportunity to immerse yourself in historic preservation”. Kendryn is currently in her third year of BA studies at Metropolitan University of Denver, double majoring in American History and Anthropology. She has volunteered with HistoriCorps in the past on Peninsula Point Lighthouse and Little Park Wellhouse as a Kitchen & Camp Helper. Her volunteering experiences are not just limited to HistoriCorps and currently has been volunteering as a Museum Ambassador at the Denver Museum of Nature & Science for 3 years! Since coming onboard in August 2018, she has worked as a Crew Leader on two projects in Colorado: Hornbeck Ranch and McGilvery Cabin. Allison (Al) is an artist, fabricator and carpenter based out of Minneapolis, Minnesota. With a bachelor’s degree in Media Arts from Hamline University and a certificate in carpentry from Summit Academy OIC, they have worked as a scenic and exhibit carpenter/fabricator for museums, festivals, schools and theaters nationally and internationally. Most recently they spent a season leading students from Summit Academy OIC on trips to the Steger Wilderness Center, on the edge of the Boundary Waters Canoe Area Wilderness, to build cabins and restore existing buildings. This balance of wilderness and hands-on teamwork resonated so much with Al that when they discovered HistoriCorps, they pursued a position as crew leader. I call the blue ridge mountains of Asheville, North Carolina home but since graduating with a degree in Psychology from UNC Asheville, I have been elsewhere. I have been focused on developing my natural building skills by working with cob, adobe, bamboo, straw bale, hempcrete, and wooden boat building. This work has taken me to Ecuador, Colombia, Cuba, Costa Rica, California and Utah and now to I look forward to returning to the states to partner with HistoriCorps and continue on this path of building and learning. I am passionate about creating and protecting safe and beautiful spaces for the public and empowering others to as well. I hope to continue working toward increasing our resiliency together. Molly is originally from Maryland but now calls the hills of Randolph County, WV home. She first discovered HistoriCorps as a volunteer in 2015 while working as an archaeologist and was immediately inspired to make the career switch to historic preservation. Since then, she has completed two AmeriCorps service years with the Appalachian Forest National Heritage Area, participated as a partner on multiple projects with HistoriCorps and the Monongahela National Forest, and worked on dozens of historic sites and buildings in West Virginia and throughout Appalachia. She is excited to explore more of the country while working as a Crew Leader this season, and to finally be able to combine her love of road trips and camping with her career in preservation! Sarah is another HistoriCorps volunteer turned Crew Leader, having worked on projects in OR, WY, and CO in 2018. She loves the challenges that old buildings provide and especially enjoys the creative problem solving that happens in the field. Additionally, she strives to help other volunteers to feel as welcomed and invested in the projects as she was last season. Sarah studied at Duke University and has a BS in Mathematics from Portland State University. She attends numerous workshops in historic preservation practices and works for a general contractor in Portland, OR in the HistoriCorps off-season. Free time finds her road biking, rock climbing, hiking, and backpacking. Peter Gruchot joins HistoriCorps following a circuit of conservation corps gigs across the states. He is excited to foray into the historic preservation fields, having a great interest in both history and traditional construction methods. A former AmeriCorps NCCC member, Peter has his roots in giving back to communities and active citizenship. He looks forward to meeting and working with all the volunteers who so graciously come out to spend time with us. Would you like to apply for a field staff position? Click here to view job descriptions. Jonas began his preservation career 16 years ago while repairing deteriorated architectural logs at Camp Santanoni, a National Historic Landmark. Since that first project he has managed the restoration or rehabilitation of over two hundred historic buildings and structures in over two dozen states and territories. He is in charge of the Operations and Project Management team at HistoriCorps and has worked for the organization since its founding in 2009. Jonas has authored project assessments and work plans for structures across the United States from backcountry shelters in Alaska to stone CCC-built structures in Puerto Rico. In his free time Jonas likes to explore the remote corners of the mountain west with his wife and two kids. Denis Moran, a Coloradan, is a former U.S Forest Service Forestry Technician and a HistoriCorps Project Supervisor since May 2015. Denis will now be responsible for procuring, inventorying, and maintaining and repairing all aspects of HistoriCorps field equipment. He will also fill in for field staff and/or lead preservation projects in the future. So don't worry, you'll still be seeing him out in the field every now and then! Ever since he can remember Jason has been surrounded by old houses, from his grandmother's 1840s farmhouse to his more than twenty years with the Colonial Williamsburg Foundation. He received his Bachelor’s degree in history from Virginia Commonwealth University and went on to complete a rigorous apprenticeship in traditional masonry at Colonial Williamsburg. He later became the first Master of Masonry Trades there. A key element of his work was the making and firing of handmade bricks using traditional methods. He also specialized in developing authentic mortars and plasters for use in preservation work and has worked on some of the oldest buildings in Virginia and North Carolina. Kyle Bernard is a traditional building specialist focusing on the preservation of pre-20th century American structures. 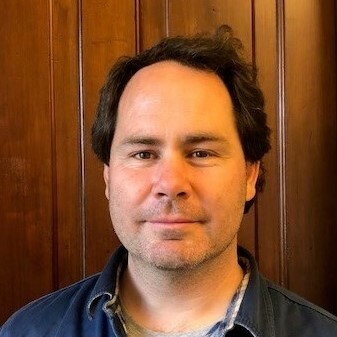 He holds a master's degree in Historic Preservation from the Boston Architectural College, was classically trained in preservation carpentry at the North Bennet Street School and completed his undergraduate studies at Northeastern University in Political Science. Prior to finishing his schooling, Bernard served five years as an aviation electronics technician in the United States Navy. Since beginning his career in preservation he has completed work on significant historic structures across the nation, including multiple National Historic Landmarks and museum properties in New England. Liz brings a decade of experience in program development and management for both youth and adult volunteer projects and events. As an AmeriCorps VISTA alumna and Returned Peace Corps Volunteer, she has experience coordinating successful projects on public and private lands with federal, state, and local partners at regional and local levels. Liz received her Bachelors of Public Affairs, focusing on Nonprofit Management, from Indiana University-Bloomington. Experienced in the world of higher education, Jamie serves as a resource for HistoriCorps Institute students. After completing her undergraduate degree in Anthropology and Spanish at the University of Michigan, she spent a year with AmeriCorps advocating for community involvement and volunteerism. Jamie earned her MS in Historic Preservation from Eastern Michigan University. Charlotte conducts research for our partner agencies and authors condition assessments and preservation plans to inform future projects. Prior positions include working as a crew leader and project supervisor for HistoriCorps, serving as an administrator for the Pacific Northwest Preservation Field School, and planning preservation projects with the cultural resources division of Olympic National Park. Charlotte studied architecture, museums, and outdoor leadership as an undergraduate at Smith College and is completing a Masters of Science in Historic Preservation at the University of Oregon. In her free time, she enjoys hiking and horseback riding near her home in Springfield, Oregon.